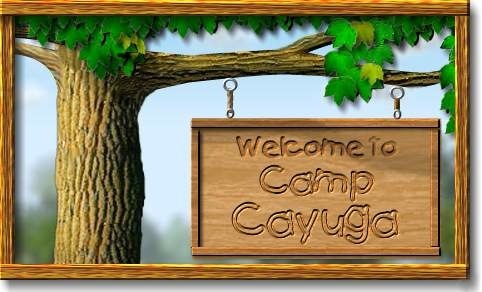 Camp Cayuga is a private nonsectarian residential camp for boys and girls ages 6 to 16. The camp is located on a secluded 350-acre estate in the Pocono Mountains of Northeast Pennsylvania. For over 50 years we have promised a safe, healthy, and fun-filled summer for children. But we deliver much more! We have fostered in children the development of new skills, the sharpening of old skills, the appreciation of nature, and the beginning of lifetime friendships. Our Special Features: Separate Teen Campus; Diversified Program with over 60 daily activities; Elective Schedule - select your activities each day with your friends; First-Time Camper Guarantee; Mature Staff and Quality Instruction; Comprehensive Facilities; Friendly Atmosphere; 2, 4, 6, 8 Week Sessions. Join us this summer and enjoy your memories for a lifetime! Full Season (54 Days): Wednesday, June 26th to Sunday, August 18th. First Six-Weeks (41 Days): Wednesday, June 26th to Monday, August 5th. Last Six-Weeks (41 Days): Tuesday, July 9th to Sunday, August 18th. First-Half (28 Days): Wednesday, June 26th to Monday, July 22nd. Middle-Half (27 Days): Tuesday, July 9th to Monday, August 5th. Last-Half (28 Days): Tuesday, July 23rd to Sunday, August 18th. First 2-Weeks (13 Days): Wednesday, June 26th to Monday, July 8th. Second 2-Weeks (14 Days): Tuesday, July 9th to Monday, July 22nd. Third 2-Weeks (13 days): Tuesday, July 23rd to Monday, August 5th. Last 2-Weeks (14 Days): Tuesday, August 6th to Sunday, August 18th.